From US Hwy 6/W. 6th Avenue to Union Blvd/Simms Street exit. Turn south onto Union Boulevard, follow to 2nd Place. Turn right on 2nd Place, then turn left at first light, Van Gordon Street. 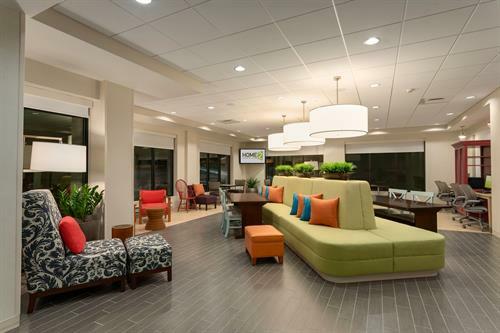 Our Home2 Suites is conveniently located in the Denver West across from the Federal Center close to Interstate 70 and 6th Avenue. Downtown is about 12 minute drive or 20 minutes on the light rail located in close proximity to our hotel. Numerous restaurants, gas stations, groceries, pharmacies and other services are walking distance from us. All suites feature: fully equipped kitchens with full size refrigerator/freezer, microwave, dishwasher and sink, 42'' HDTV, media hub, queen bed, full sleeper sofa. 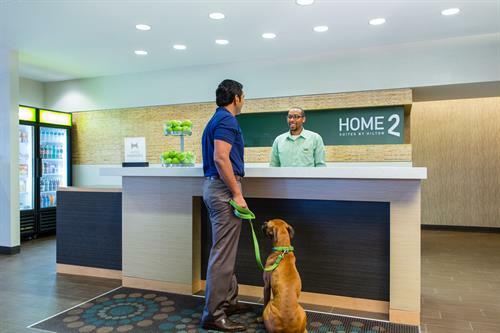 What sets us apart: Breakfast, indoor saline pool and whirlpool, fully equipped fitness center and laundry facility. Pet Friendly. Outside patio with fire pit, gas grills and outdoor seating. Eco-friendly and sustainability efforts (recycling, earth friendly products and services, real china in breakfast rooms and suites. We look forward to welcoming you!